Epiphone presents the new Embassy PRO Bass, inspired by the rare 60s classic and commemorating the 60th anniversary of Epiphone joining the Gibson Family of Instruments. 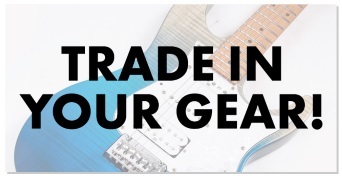 Featuring new ProBucker #760 Bass Humbuckers and improved hardware including a Tune-o-matic bridge, a 1960s-inspired “claw” tailpiece, and 2-on-a-side Premium 17:1 ratio tuners for better balance. 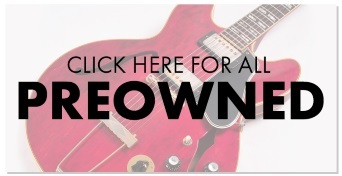 Available in Antique Ivory, Dark Cherry, and Ebony finishes. 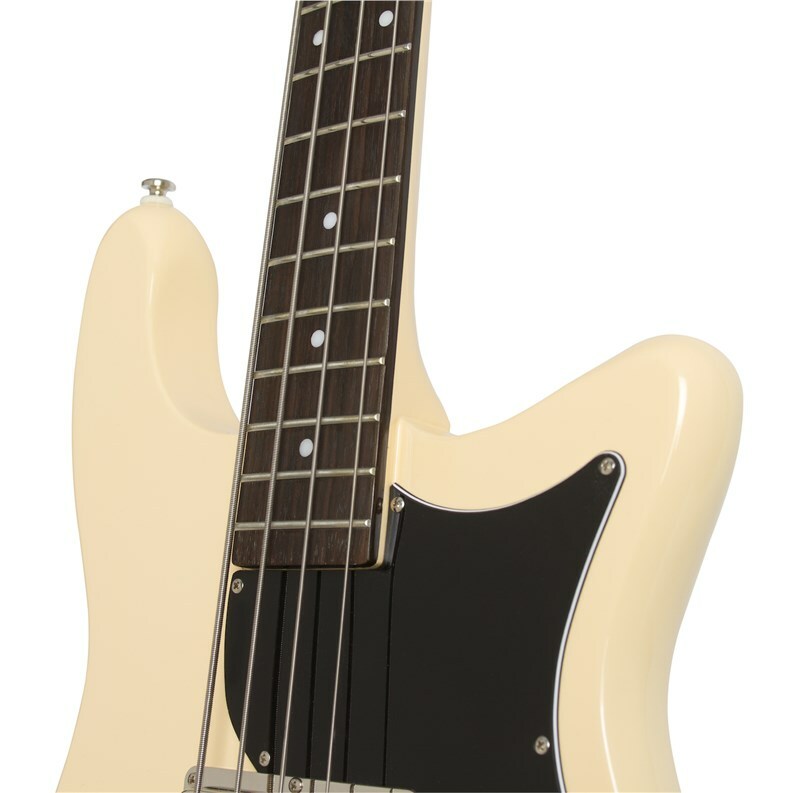 he original Epiphone Embassy was introduced in 1963, the same year as the legendary Thunderbird, and became Epiphone’s premier solid-body electric bass. The new Embassy PRO Bass combines the best of the Embassy’s classic features with some key design improvements. The Mahogany body now has a slightly longer upper “horn” for great balance and the glued-in Mahogany neck comes with a two-way adjustable truss rod for perfect set-up. The neck has a 1960's SlimTaperTM-D profile, a Rosewood fingerboard with pearloid "Dot" inlays, a 34” scale length, a 12” radius, and 22 medium jumbo frets. 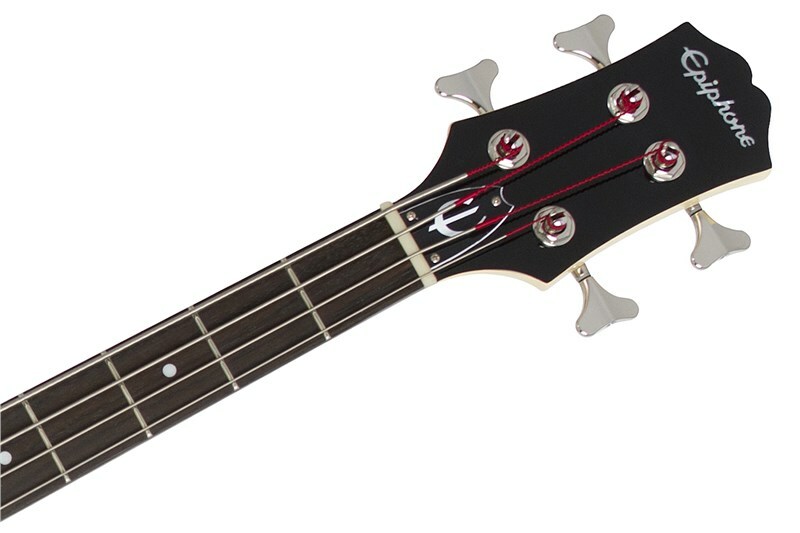 The classic Epiphone Sloped Dovewing headstock has a 60s era pearloid "Epiphone" logo as well as a "2017" commemorative logo on the back of the headstock. The Embassy PRO Bass is powered by Epiphone’s critically acclaimed new ProBucker #760 Bass Pickups which are made with the same attention to detail as the ProBuckerTM and P-90 PROTM guitar pickups. ProBucker 760s are inspired by the original Thunderbird and Embassy pickups from the 60s and feature 18% Nickel Silver Covers, German- manufactured Elektrisola Magnet wire, Alnico IV sand cast magnets, and braided coaxial lead wire and are vacuum wax potted to eliminate microphonics. Epiphone has also recreated the original Epiphone "Barrel" knobs with metal inserts for Master Volume, Blend, and Master Tone controls. 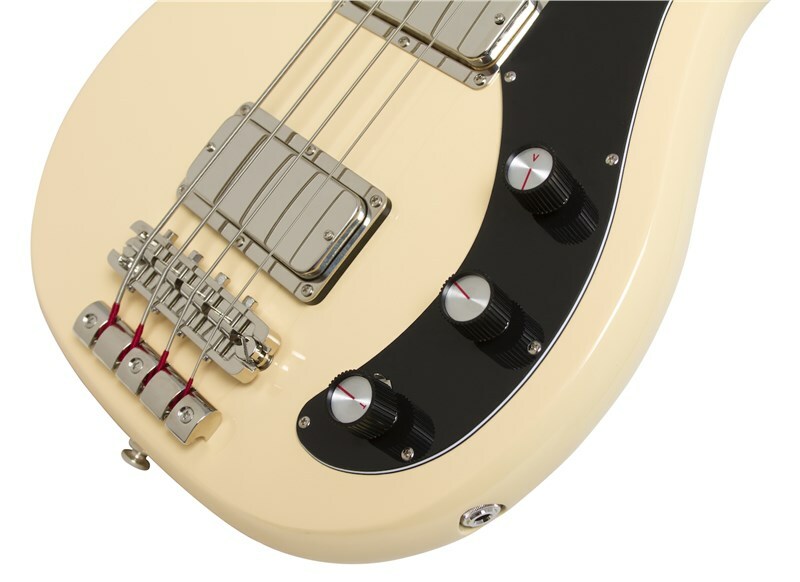 Rock Solid Hardware: The Embassy PRO Bass now includes a modern adjustable Tune-o-matic bridge and a 60s styled “Claw” tailpiece along with a “barrel style” ¼” rim-mounted output jack. The overall balance of the Embassy is also improved by 2-to-a-side Premium Die-Cast Bass machine heads with a super pro 17:1 tuning ratio.